From 1932 to 1933 a man-made famine ravaged the Ukrainian Soviet Socialist Republic, claiming close to 4 million lives. Today, that famine is known as the Holodomor – “hunger death” or “death by hunger” in Ukrainian. 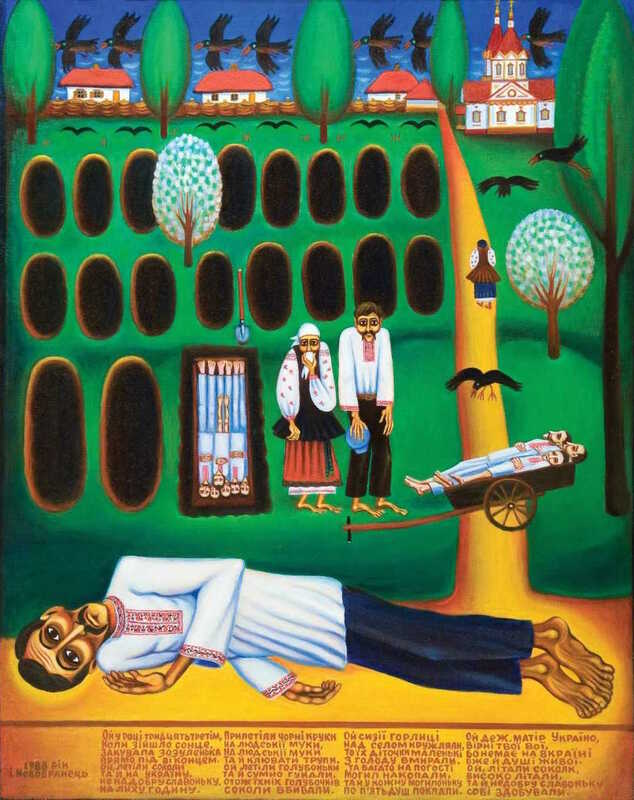 As our awareness of the famine has grown, so have the voices calling for the Holodomor to be acknowledged as genocide perpetrated against the Ukrainian people. 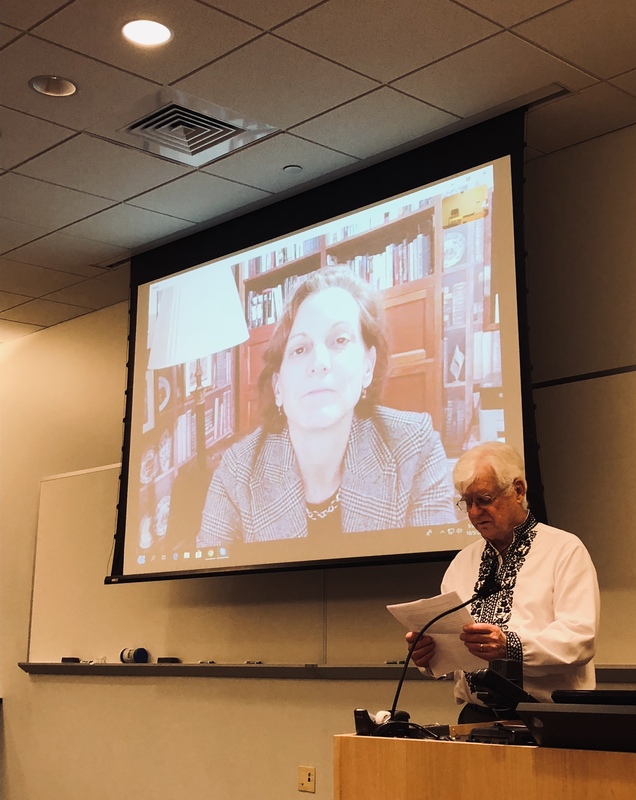 Anne Applebaum, Pulitzer-Prize winning historian and journalist, opened the gathering with a Skype keynote that was based on her recent book Red Famine: Stalin’s War on Ukraine (Doubleday, 2017). In addition to its interdisciplinary scope, the conference featured a strong international representation – with scholars hailing from Canada, Ukraine, and the United States – all of whom addressed different aspects of the Holodomor as it related to their respective disciplines: history, demography, economics, political science, epidemiology, cartography, psychology, ethnography, and journalism. Another goal of the conference was to situate the Holodomor in a context of other man-made famines. To that end, Dr. Sarah Cameron (Univ. of Maryland-College Park) presented on concurrent Kazakh famine of 1930-33 that claimed an estimated 1.5 million lives. Connected with an assault on nomads living in the area, the famine severally altered both population dynamics, leading to the Kazakhs becoming a minority in their own Soviet republic. Dr. Cameron pointed out that the famine in Kazakhstan shared many similarities with the Holodomor, as the regime responses informed each other. Just like in Ukraine, the Soviet authorities closed the borders of the Kazakh republic during the famine. However, in the Kazak case, forced labor camps were also created and disease played a much higher role in the casualties than in Ukraine. The conference concluded with a roundtable focusing on future steps in interdisciplinary research on the Holodomor. Among other suggestions, Dr. George Liber (University of Alabama at Birmingham) stressed the need for more information on the party activists who enacted collectivization during this time in Soviet Ukraine, stating that we need to identify if these people were volunteers or conscripted, outsiders or locals, Russians or Ukrainians. Dr. Natalya Naumenko (Brown University) discussed the importance of publishing in peer reviewed journals and in English, bemoaning the fact that studies published solely in Ukrainian can lead to their marginalization from the wider scholarly community. Oleh Wolowyna (UNC-Chapel Hill), who led the roundtable discussion, put forth several suggestions for the future. He called both for new research on the famine to proceed in a comparative fashion looking at concurrent famines in Russia and Kazakhstan, as well as stating the importance of turning to the local archives for materials that lay there waiting to be unearthed and contextualized in the existing literature on and studies of the Holodomor.